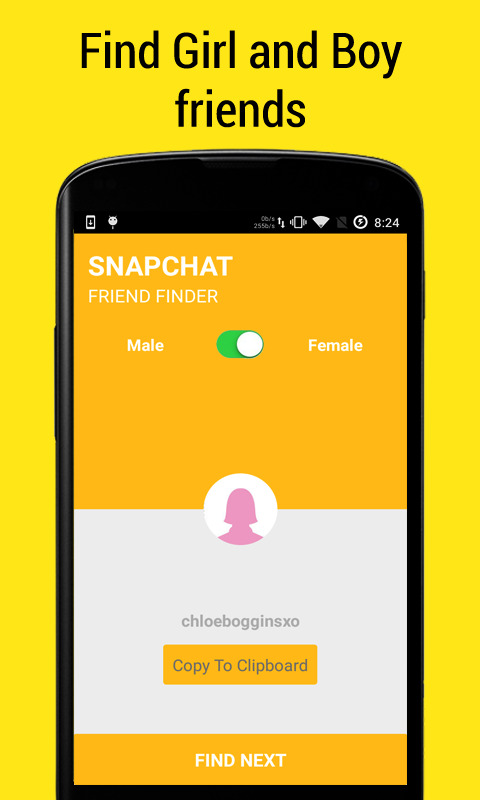 Get More Snapchat Friends Quick and easy way to get more friends on Snapchat. Just shake your phone to run Snapchat. 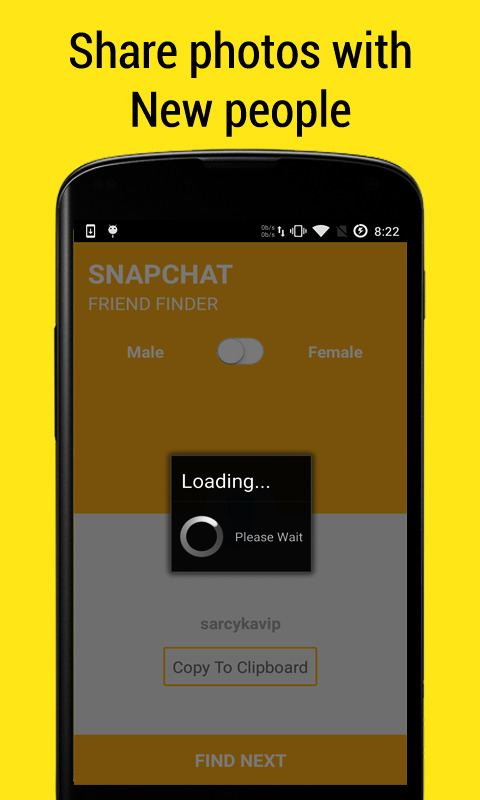 Quick Snapchat will help you run Snapchat easily and get more followers. ★ Snapchat have to be installed first. ★ Additional function ★ 1. Status bar notification : Ongoing status bar notification during service is running. 2. Vibration alert : vibration when running Snapchat. 3. Flash alert : camera flashlight when running Snapchat. 4. Running during call 5. Automatically starting when rebooting. 6. Set sensitivity of shaking. 7. Quick Snapchat works only when the screen is on and is unlocked. That would not let you make a mistake.